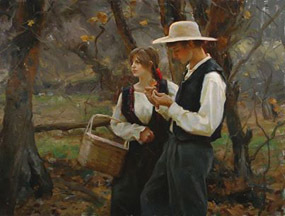 Well versed in a variety of painting styles, from still lifes to landscapes, Mike Malm is perhaps best known for his impressionistic paintings of figures. 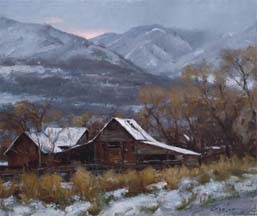 The surrounding rural communities and settings provide backdrops for his figural paintings and inspiration for his landscapes. 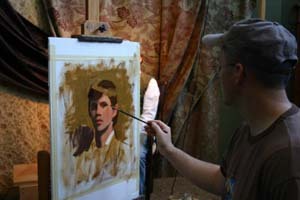 Though he paints a variety of subject matter his first love is painting the figure. “The human figure, in my mind is the most beautiful of God’s creations. 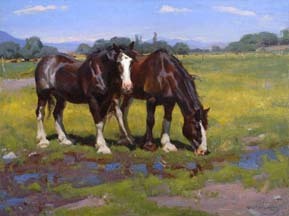 So much can be communicated through the tilt of the head, or the gesture of the hand. 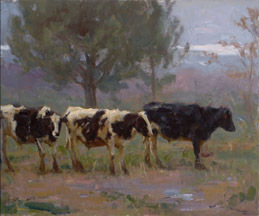 I strive to capture subtle things such as these in hopes of creating something emotional and moving.” Michael Malm received an associates degree at Dixie College in St George, Utah, a Bachelors degree from Southern Utah University and a master of fine arts from Utah State University.